Build your online presence and share your expertise with users outside of your core audience by guest posting for the UpCity blog. Guest blogging is known as a great way for a business to build an online presence and share expertise with users outside of its core audience. UpCity is thrilled to offer agencies this opportunity to share their voice with the digital marketing community through the introduction of our new Certified Partner Guest Blogging platform. This updated process makes it easier than ever for our partners to log in to the UpCity platform and submit ideas and pitches to the editorial team. 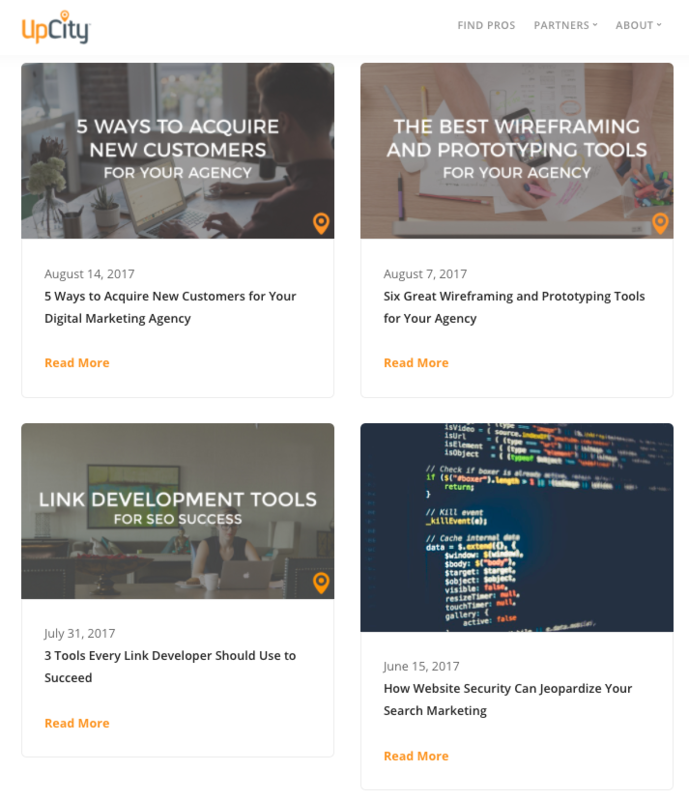 Guest posts range from focusing on agency best practices and resources for SMBs to specific guides and tutorials on topics like SEO, mobile optimization and content marketing. Simply visit the Sales Center in UpCity to pitch your ideas! The goal of this program is to publish top-notch, quality content for our readers that will always answer relevant industry questions. Reputable sources and reliable data are at the core of every guest post. Not currently a certified partner and want to learn more? A member of our team will reach out to review the benefits and levels of membership.